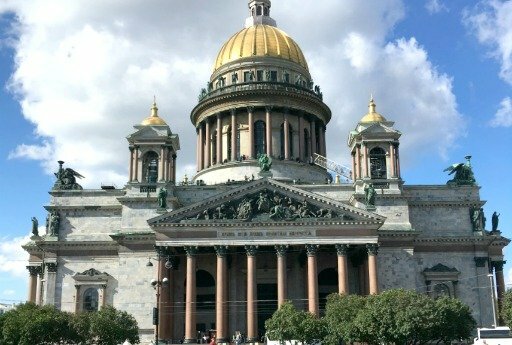 Home » Reviews » St. Petersburg is unbelievably beautiful! St. Petersburg is unbelievably beautiful! We did arrive on time, the theatre seats were very good, and the opera and theatre were magnificent. To be in the historic Marininsky was a lifetime dream and to know of the famous stars who had graced the stage over past years was amazing. We are so glad we came to SP after Moscow as your city is unbelievably beautiful, and will leave many lasting memories. The grand palaces, history, museums, the Scarlet Sails, a very good hotel, driver, and most of all a wonderful guide Natasha, who was so helpful and kind to us, made our tour so memorable. Thank you sincerely for all your help over the past months as arranging this tour, as well as relocating to another State in Australia, has been a stressful time for us, with many things to arrange as you can imagine. we now go back to Australia to enjoy our new Grandaughter Aliyana, who is 6 weeks old, and her 2 year old sister, Isabella.